The growing town of Richmond is 10 minutes south of Nelson Airport at the top of the South Island. It's a vibrant town packed with delightful cafes, award-winning restaurants, inspiring art studios and hidden gems. The Top of the South tops the poll of annual sunshine hours. With its clear blue skies and lush green grass Richmond is very easy on the eye. Richmond and its surrounding hills offer a wide range of walking, mountain biking and casual biking tracks, as well as being part of the spectacular Tasman's Great Taste Trail. The Richmond Ranges and Mount Richmond Forest Park can be accessed at Aniseed Valley Picnic Ground. The tramping here is superb. There are wonderful walks through the peaceful beech and delightful podocarp forests. 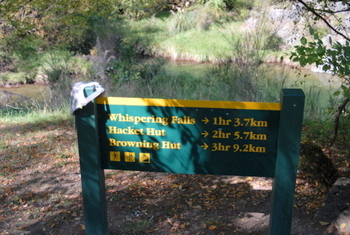 A favourite of the locals is the Whispering Falls walk or a tramp to the Hackett Hut. Rabbit Island beach is perfect for swimming, playing and picnicking. The Island has many grassed areas with BBQs, which prove very popular all year round. The pine trees provide shade and a playground for the children. Conifer Park has a child friendly mountain bike track. Horse riding is permitted on the eastern end of Rabbit Island and Rough Island. Rough Island is also very popular for dog walking. The Tasman Great Taste Trail goes through the forest on Rabbit Island and joins up with the ferry over to Mapua. On the doorstep of three national parks, The Kahurangi, Nelson Lakes and the Abel Tasman, Richmond is an ideal base for anyone wanting to explore and experience the unspoilt beauty of the Top of the South. Hunting and fishing is a very popular pastime in Richmond. The rivers, sea and hills are very accessible. The beautifully manicured golf course on Best Island is fully catered and licenced. Visitors are welcome to this tranquil and scenic 18-hole course. Richmond has many activities for all ages: blokarting (wind kart), luging, paintballing are just some. 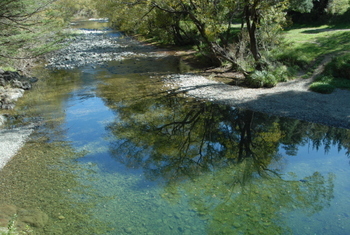 River swimming is very popular and easily accessible via many of the areas beautiful reserves, such as the Twin Bridges, Aniseed Valley and Meads Recreation Reserve, Lee Valley. The Waimea Inlet is of international significance for migratory bird species. Species regularly spotted here are the bar-tailed godwit, white heron, little egret, royal spoonbill, banded rail, Australasian bittern and many more. Sandeman Road has convenient vehicle access and is a lovely place to start and finish a walk or bike ride along the inlet from.